A recent symposium in Japan on fusion energy attracted 500 participants. 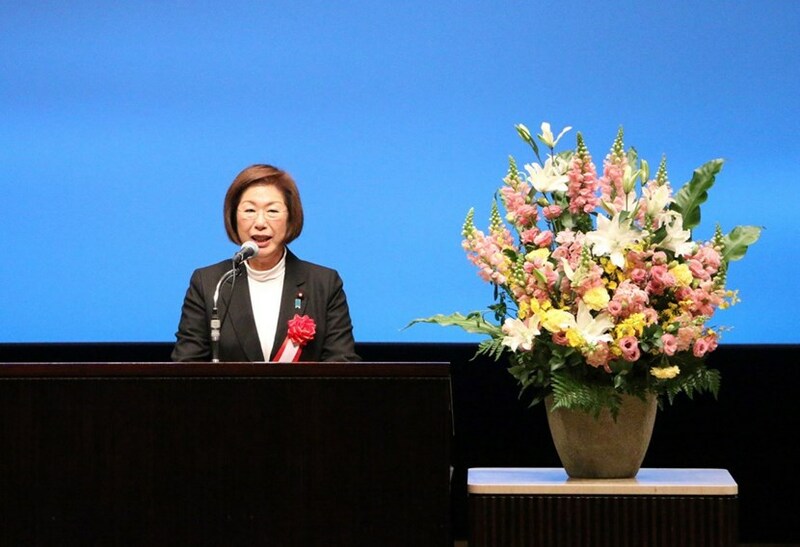 Keiko Nagaoka—Diet member and State Minister of Education, Culture, Sports, Science and Technology (MEXT)—expressed strong political support for fusion energy during her speech at the symposium organized in December 2018 by the Fusion Energy Forum of Japan. The Fusion Energy Forum of Japan was established in 2002 for the purpose of promoting and supporting R&D activities for the realization of fusion energy. Its diverse membership includes representatives of universities, research institutes, industry, governmental organizations, and the general public. Every year the Forum holds a symposium on progress in activities related to ITER and to the Broader Approach* that are sited in Japan. The 2018 symposium, held in Tokyo on 14 December 2018, attracted approximately 500 participants. Strong political support for fusion energy was expressed in the opening speeches of the symposium by members of the Diet—Keiko Nagaoka, State Minister of Education, Culture, Sports, Science and Technology (MEXT); Eisuke Mori, Chairman of the Parliamentary Association for the Promotion of Fusion Energy—and also by the Vice Governors of the Aomori and Ibaraki prefectures, and the Vice Chair and Director of the Japan Business Federation. 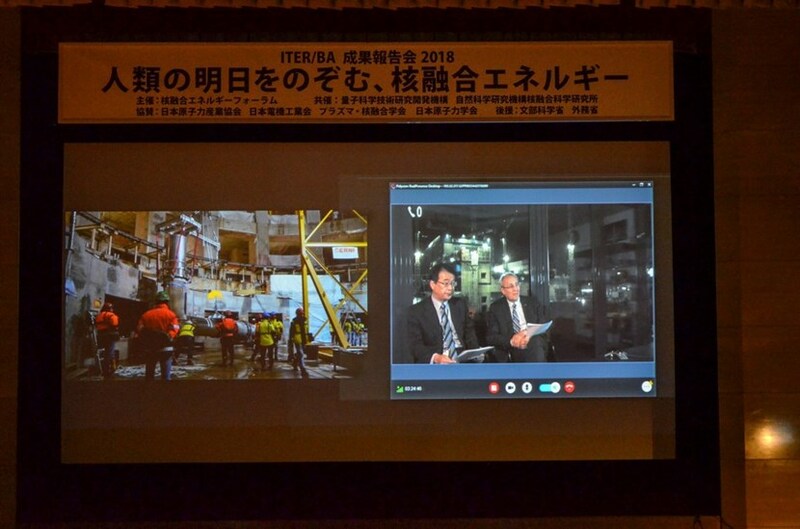 It was 6:00 a.m. at ITER Headquarters when Director-General Bernard Bigot and Deputy Director-General Eisuke Tada spoke to participants through live broadcast. In keynote lectures, ITER Director-General Bernard Bigot and ITER Deputy Director-General Eisuke Tada brought participants up to date on construction and manufacturing progress for ITER, in a live broadcast from the ITER site at 6 a.m. In the sessions that followed—on Japan's national policy for fusion research (including the roadmap toward a DEMO reactor), the involvement of industry, and Broader Approach activities (including the assembly of JT-60SA and IFMIF prototype accelerator)—the message was the same: "All Japan" is working hard to make fusion energy a reality! *EU-Japan collaboration on fusion R&D to complement the ITER Project and to promote DEMO design activities based on the "Agreement between the Government of Japan and the European Atomic Energy Community for the Joint Implementation of the Broader Approach Activities in the Field of Fusion Energy Research," which consists of three projects: the Engineering Validation and Engineering Design Activities for the International Fusion Materials Irradiation Facility (IFMIF/EVEDA), the International Fusion Energy Research Centre (IFERC), and the Satellite Tokamak Programme (JT-60SA). Learn more about the Broader Approach here.